If you are in this article, then you must be an engineering student or an engineer. With so many laptops in the market, hyping the goodies about their brand, it gets so confusing and exhausted looking for the perfect computer that matches your needs, isn’t it? Do yourself a favor and go through our article, even if our listed items doesn’t fit your sense of style, you will certainly have a better understanding of what to look for on any ideal engineering laptops. GPU: This is the foremost hardware that separates the engineering laptops from the rest. 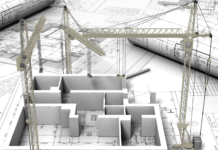 Engineering work involves Computer Aided Drafting software like AutoCAD, ANSYS, SolidWorks, and Catia. So, any serious engineering students or professional engineers should buy a laptop with CAD GPU that is exclusively designed for modeling and simulation. To meet your needs, we recommend getting Quadro line of Nvidia or FirePro from AMD. They both are the best in the market. Even they are different brand they are specifically designed to fast calculate the mathematically intensive task-involving rendering. However, those of us who might be thinking that gaming GPU will get the work done too, then why to invest in expensive workstation? Well, to answer this, let us start by saying yes, the gaming card can do the work, but not as fast compare to the workstation. The major difference between gaming and CAD graphic card is gaming GPU are designed to achieve faster FPS, where as the CAD graphic card focus on a high level of accuracy, precision and reliability. CAD GPU has a different algorithm design specifically for one specific work. Meanwhile, if you are a gamer pursuing your engineering degree, we have listed some of the laptop that is great for both usages. Fast CPU: Since, you know you will be running many CAD software with 3D modeling, you need a fast and high processing CPU that gets the work done effectively and efficiently. For simplicity, we recommend an Intel Core i5 or above or equivalent processor. It is well capable of running your sophisticated engineering software like AutoCAD, Unigraphic, ANSYS, or solid works. RAM: Look at least 16GB of RAM or more. It sure can handle what CPU is processing and will be enough to handle program running in the background. Operating System: Mac Vs Windows? It all depends on your personal preference. Both have advantages and disadvantages, but as with the viewpoint of engineering needs both get the job done with no complaints. However, Windows tends to have a user – friendlier interface when it comes to a wide array of software. Hard Drive: You will be innovating new things, so why not go with innovative Solid State Drive (SSD). Compare to a mechanical hard drive, it is fast and have long life expectancy. So, with this you don’t have to worry about frequent hard drive crashing. Mobility: Screen sizes of 13 to 15 inches will be portable for you. We recommend getting one of those screen size with high battery life over 9 hours because less charging more working is also what portability stands for. Connectivity and Resolution: With all the above specification included in any laptop, the manufacturer will make sure to include Full HD resolution with Bluetooth 4.0, USB 3.0 and wireless LAN 802.11. Well, if its not then you know what to look for your ultra fast file sharing. Alright! Now let’s dig deeper into our selected 6 best laptops for engineering students: Let’s start with the table view. If you are an engineer or engineering student who is looking for a thin, light and a powerful engineering laptop, then do yourself a favor and get this beast. The most notable feature that this laptop has to offer is its AMD FirePro W4190M video card. Comparatively, W4190M has similar benchmark as NVIDIA Quadro M1200M. It is powered by 7th Gen Intel i7-7500U processor clocked @ 2.7 GHz. With a fusion of CAD friendly AMD FirePro GPU and the Intel i7, you sure will have the best experience of CAD software. It is perfectly compatible with any old or new version of AutoCAD, SolidWorks, Catia and many other 2D and 3D modeling software. Hold on! The goodies don’t end there, with the 16 GB of DDR4 RAM; you can now actually test your ability to multitask without any barrier. 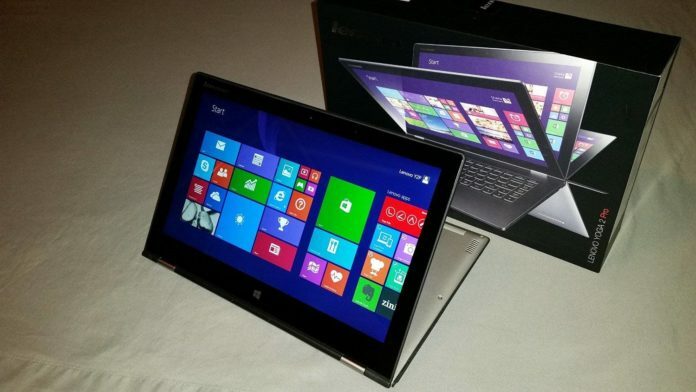 It has a 15.6 inch matte screen, displaying 1920 x 1080 Full HD resolution. The laptop weighs around 4.18 pounds and has a staggering battery life up to 7 hours. It is geared with DualPoint Backlit Keyboard for low light conditions. For spacious files and fast data transfer, it comes preloaded with 512 GB of SDD. This awesome workstation is primarily designed for engineering works. With all the above specification, it sure will handle all the engineering software with the best possible user experience. It truly is an innovative laptop for pioneers. The New Lenovo ThinkPad P51 is next in line. As, we stated earlier, the GPU or video card is the main specs for any ideal engineering laptop. That being said, if you are still wondering about what so special about this laptop, then lets see what it got! The Lenovo ThinkPad P51 is loaded with new generation Quadro M1200M video card. 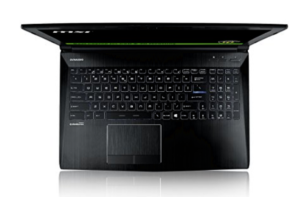 The Quadro M1200M is based on 1st Generation Maxwell architecture. It has 640 CUDA cores, clock speed of 991-1150 MHz, the memory speed of 5000 MHz and data transfer speed of 80GB/Sec. It is far more efficient and powerful than its predecessor Kepler architecture. To put this in perspective, the Quadro M1000M is equivalent to expensive Quadro K2200M video card with better energy efficiency attributes. With this powerful CAD friendly GPU, you will not get a single chance to pull your hair unless you have a habit of doing so. Further, it is furnished with 7th Gen Intel i7-7700HQ processor with a clock speed of 2.8 GHz and can be turbo boost up to 3.8 GHz. It is envisioned to be professional engineers’ next favorite thing. It will run all the 3D modeling software at super fast processing speed. Now moving on to its other features, which are comparatively of less significance yet makes, this laptop even more pleasing are its 16 GB RAM, 15.6-inch FHD IPS display, fingerprint reader, backlit keyboard, 500 SSD and 7-hour battery life. Its last but not the least feature is its multi connectivity capabilities. With 4 USB3.0 ports, thunderbolt 3 ports, HDMI, mini display port and SDXC reader, it is compatible with almost all the modern generation devices. In terms of pricing, it has a hefty price tag around $1500, which seems little expensive for engineering students but if you are serious about getting into the field of engineering, one way or another you will ended by investing a lot more than this in the long run, as you decided to settle for cheaper laptops. If your works demand highly sophisticated CAD than paying a couple of extra bucks for this workstation will certainly place you on better spot. If you are a serious gamer pursuing an engineering degree then look no further than MSI WE62. Specially designed for performance, it is packed with all the required attributes needed by any engineering students. It is an ISV certified by many leading vendors, including AutoDesk, Adobe and Dassault Systems. Powered by 7th Gen Intel Core i7-7700HQ 2.6 GHz Processor, it can pretty much run any version of AutoCAD or SolidWorks. Furthermore, its 4GB of GDDR5 NVIDIA Quadro M2200 GPU is designed to deliver optimum performance for any power hungry software. Its 512GB SSD drive is more than enough to store all your assignments and entertainment files while its 16GB of DDR4 will test your multitasking abilities to a new level. You can enjoy the full version of windows 10 pro in its IPS screen display FHD resolution. Acknowledging the multi functionality, it has offered, there is no doubt that this workstation has one of the best price to value ratio. The Dell Precision line has always been famous among professional communities because of its exceptional personalization of workstation that intuitively caters the need of any professional architecture or student. With the fusion of 6th Gen Intel Core i7-6820HQ and CAD GPU NVIDIA Quadro M1000M with 2 GB GDDR5, it is an excellent choice to run CAD software. It promises seamless performance while running any Autodesk and SolidWorks version. You can process 3D design, streaming video, record music and surf Internet at the same time with its 8 GB DDR4 RAM. For storing files and folders, it harbors 500 GB HDD under its hood. If you are going to college for civil, electrical, mechanical, software or any other engineering, don’t worry, this laptop will be your next favorite thing for your upcoming college days and yours professional days ahead. Its touch screen with digitizer featuring the Wacom Active ESTM pen technology comes really handy for quick notes taking, drawing diagrams, writing equation and calculations. All this awesome attribute allied with 360-degree, convertible feature; taking a paper notebook will be limited to good old memories with this tech marvel. Its formidable Intel Core i7-6500U processor, blended with 8GB DDR3L will run all kinds of software at lightning fast speed. Its 14.1-inch screen size displaying 1920 x 1800 (FHD) resolution will expose you to the best working experience ever. Further, you will have a 256 GB of Solid State Drive, that is comparatively 5 times faster and durable than the mechanical hard disk drive. The most awesome feature is its 2GB NVIDIA Quadro M500M video card. Based on 1st Generation Maxwell architecture, this graphics card is specially tailored for CAD software and offers you the best possible rendering. This laptop has a price tag of $1500. It is one expensive laptop, but if you want a laptop that excel your innovation and best prepare you for your professional career, one time investment of 1500 dollars is not a bad choice after all! If you are looking for an ultra portable yet powerful laptop, then this beast might be the one for you. Running windows 10 OS, its 6th Gen Intel Core i7-6700U, 2.60 GHz (turbo boost up to 3.5 GHz) processor will make sure to run any CAD software in ultra fast mode. Furthermore, its 8 GB of DDR3L RAM keeps your multitasking ability sharp and progressive. Armed with 4GB of NVIDIA GeForce GTX 960M graphics card, this laptop will not offer you any chance to pull your hair because of lagging or freezing. This awesome Dell comes with the 4k QHD resolution. So, you can’t only see the crisp, clear resolution, but can actually feel it. Don’t hold your horse! In terms of mobility, it weighs only 4.6 pounds and only 1 inch thick. Its accurate touchscreen feature will ease your workload, especially when attending class lectures. Geared with hybrid drive (8GB SSD and 1 TB HDD), further aid the fuel to the fire making it incredibly fast to read and write any command. Whenever you have a long day, which engineering students often do, the staggering 10-hour battery life will save the day for you. For multi connectivity, it harbors 3 USB3.0 ports, SD media card slot, Bluetooth 3.0 and an HDMI port. For all these many features including formidable video card, 4K resolutions, touchscreen, i7 processor, it is priced under $1000. There is no doubt that this laptop offers you the best value for the price! For all those students who are looking for an ideal engineering laptop, but want to go easy on their wallet, this is the best budget laptop for you. Priced under 700 dollars, it certainly gives you the best bang for the buck. Its 7th Gen Intel Core i7-7500U 2.7 GHz Processor is above the benchmark for running all the CAD software. The best part of getting this notebook is under $700, Acer has managed to fit 256 GB of Solid State Drive (SSD) with 2GB of DDR5 VRAM NVIDIA GeForce 940MX video card. It is not the best recommended GPU for engineering works, but for students who already are on a tight budget, this laptop will get your assignment done without any nuisance. 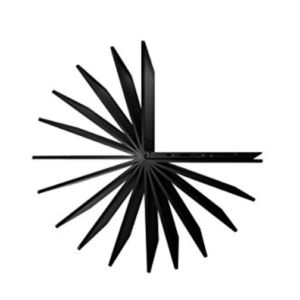 Its 3 x USB 3.0, 8X DVD-Super Multi Double-Layer Drive, an HDMI port, Bluetooth 4.1, 802.11ac Wi-Fi featuring MU-MIMO technology, and an SD card reader allows you to connect with a wide range of computer peripherals. 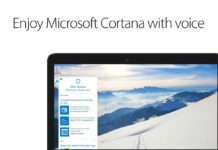 Further, you can enjoy the latest version of windows 10 operating system in its 15.6 inch screen displaying FHD resolution. Weighing only 5 pounds with staggering 12 hour battery life on a single charge, Acer Aspire E15 offer the high level of portability that any students desire. It is for sure is one of the best value laptop for the price. It’s really hard to find a laptop with so many goodies under this price range, but if you insist on finding one we would like to wish you good luck! If your choice is gaming laptop with convertible features for ultra portability then this laptop will surely steal your heart. Equipped with 6th Gen Intel i7-6500U, 8GB DDR3 and 2GB dedicated NVIDIA GeForce 930M graphics card, it will operate any software to its fullest efficiency. It offers the Full HD resolution with touch screen build from an anti-scratch corning gorilla glass. No more worries about getting scratched! Its awesome four modes (laptop, tablet, tent and stand) come in handy by letting you switch as per your need. With 1TB HDD you can store whatever you want and like. Many argue about the high price that Apple charges to buy Mac products are not worth to its value. Whatever the cynics might argue, but the truth is that Apple MacBook has one of the largest brand loyalty. When it comes to the professional world, Apple has been aggressively grabbing the windows share of the market. For engineering, we have selected MacBook Pro with retina display (2880 x 1800 resolution). The foremost reason why we picked this specific model is its 4GB GDDR5 AMD Radeon Pro 560 graphics card. It might not be the top of the line video card, but it can pretty much run all the CAD software with seamless performance. Its Intel i7 Quad core 2.5 GHz processor presents the blazing fast processing speed while 16 GB of RAM gives the muscle you wanted for multitasking. It comes loaded with 512 GB of SSD for your storage. For portability, it is only 0.71 inch thin, 4.49 pound and can last up to 10 hours on a single charge. Remember these laptops can handle almost all the required programs or the software, whether you are a computer engineer, civil engineer, electronics engineer or mechanical engineer. You might also find our another article for more details on the laptop for students. Finally, we hope you got what you looking for. Thank you for reading our article about the best laptops for engineering students. All our selected laptops are preloaded with all the required functionality that students will need. Its outstanding features are favored by many users and considered them to be great for entertainment purpose as well. Good luck with your purchase! Shop Smart! & best of luck for your studies! Thank you for reading my articles. Please read other articles too for more information! Do you recommend the new HP Spectre 13t laptop? Thank you for your considering us. Before going into details we want to let you know that we focus on providing the best value for the price. Well, there is no doubt that the spectra line from HP is an attractive 2 in 1 laptop with great features like touchscreen, long battery life, beautiful display, SSD storage and nice audio. The only downside to it is that this laptop is only offered with integrated video card. And if you want your laptop to run some serious CAD software, it is best to get a laptop with a dedicated video card. If your job demands a high level of precision and accuracy, we recommend getting workstation and we know it is pretty expensive compared to other laptops. 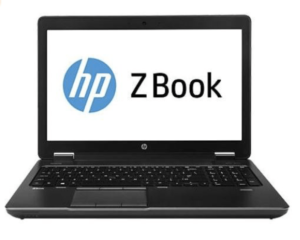 But we have recommended HPZbook, that is priced under 800 dollars and has powerful AMD FirePro M4100 video card. It is one of the best CAD friendly GPU. Also paying around $150, you can have decent 500 GB SSD upgrade. So, around $950 dollars, you will have the workstation, that is valued around 1200 to 1300 dollars. 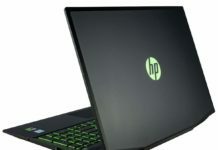 But if you are looking for 2 in 1 laptop, getting a laptop with a dedicated video card will place you on better ground. Take a look at HP ENVY 2-in-1 x360 15.6-inch. Comparatively, it has a cheaper price tag and has powerful dedicated GPU than what the spectra has to offer. Would the Microsoft surface pro 4 be a good computer for mechanical engineering and computer science? Would the HP Envy 17.3 do good for Computer/Electrical Engineering? THe Hp Envy with NVIDIA GeForce 940M graphics (that cost around $1000) is pretty good for computer/elctrical engineering. Under the same price range we have recommended Dell Inspiron i7559-5012GRY. In terms of perfomance with its NVIDIA GeForce GTX 960M, its actually better than HP Env. We think you should know as we alwasy focus on best value products. Thank you choosing us! I’ll be going into Aeronautical Engineering at a bigger University after I complete my 2 year associates degree nearby (beginning it this year). I was looking into computers like the surface pro for note taking but decided to stick to a computer that will work for me throughout my studies. I was looking at the Y700-15ACZ at bestbuy, or the Yoshiba Satellite Radius. Would these suffice for engineering? My budget is around $800. Thank you for a response. Thank you for considering us. As your were not specific about the Toshiba Satellite Radius. I am assuming it for the one that comes under $800. Comparing both Lenovo Y700-15ACZ and Toshiba Satellite Radius, we found that Toshiba satellite doesn’t pack the dedicated Graphics card which is the foremost spec for any ideal engineering laptops. Lenovo Y700-15ACZ is pretty powerful with its 4 GB of AMD Radeon R9 M385 graphics. It can definitely get you through your college days. The only downside is for $800 this doesn’t have SSD. We want you to check this Dell Laptop. As compare to Lenovo it has NVIDIA GeForce GTX 960M 4GB GDDR5. In term of performances and features both laptop have similar benchmarks. Dell has 256 GB of SSD. Hence, you will get fast read and write speed and don’t have to bother with loud noise and frequent crashing, which has been the downfall of mechanical hard drive. For quality assurance, amazon sells it. So, you will get reliable warranty and all that. We hope we were able to answer your queries. Best of luck with your studies! What is your opinion about Lenovo’s Thinkpad T460 from the point of view of an electronics and communication / computer science and engineering student? Lenovo T460 is a very good laptop but most of their versions do not have any discrete GPU. For similar price, there are many buying options with better specs. In general, we tilt toward not recommending it when specs vs price compared, especially for electronics/computer engineering. Thanks for the reply. 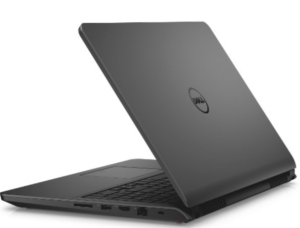 I would also like to ask if you would recommend the Dell XPS 13 late 2015 edition, non-touch with 8GB RAM. I have read many positive reviews about it.